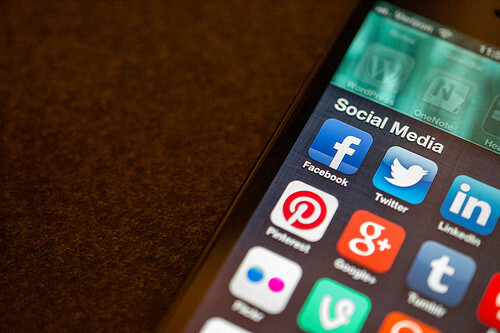 Summary: Be Very Careful With Social Media When Filing a Workers Compensation Claim! Social media has taken the world by storm. Many are totally hooked, sharing their day to day lives with family and friends via social media. For example, there are over 1.8 billion active Facebook users, a 17 percent increase year over year. With our social media accounts being easily accessible from our mobile phones, we can check our social media feeds and messages whenever and wherever we like. Most of us look at our social media several times a day. While there are a lot of advantages that have been introduced by social media, for example, it can bring you closer to loved ones who live overseas and you can follow your friends as they enjoy their holidays, it can also cause a lot of problems. Have you ever posted something and then regretted it? You can easily lose friends through a thoughtless post. However, if you have a workers compensation claim underway, it can cost you even more. Social media posts are used by many in the legal profession and your posts could easily be used against you. Our St Louis worker injury lawyer has put together some guidelines for social media use when you have a claim processing. Some have suggested that the best think you can do is to simply not go on your social media accounts during this time. That way nothing can be read into your posts, and they can't be used against you. If you simply can't let go of your accounts, then you really need to think very carefully each time you post. Look at each post and see how it could look to others. If your claim is for an injury that has left you unable to work, then a photo of you having a great time in an amusement park really won't help your case. Even if you were in terrible pain all day and you only went for the sake of the kids, this will not necessarily come across in the photo. Additionally, don't mention your claim. Keep it to yourself until the case is settled. You may not say anything troublesome yourself, but you also need to keep an eye on the comments of others on your posts. It's much easier to just not mention it. It's easy to post without thinking, but it could ruin your chances of getting your workers compensation benefits. It really isn't worth it. Why not focus your attention on other things while you are awaiting a decision on your claim? While social media is certainly enticing, there's a whole world of other things to do with your spare time. Need help with your Missouri workers compensation claim? Speak with one of our experienced attorneys 24/7 by calling (314) 361-4300.